She looked evil, just like I’ve heard. her heart was broken by people. why should only the woman suffer? as free as a dandelion. and no one better than a woman! they believed she was evil because she was different. 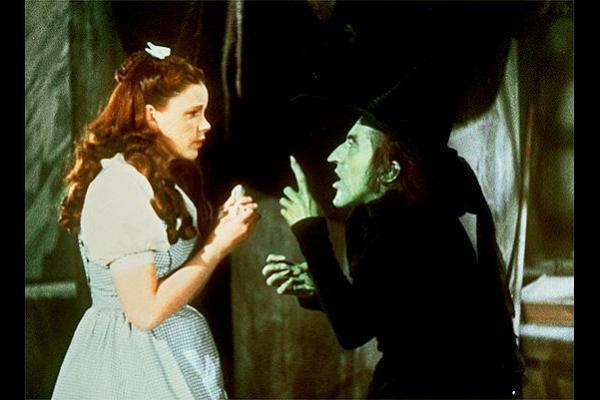 Judy Garland and Martha Hamilton in MGM’s The Wizard of Oz. Fantastic poem, Masooma. Well done. This is truly one of the most remarkable poems I have ever read. It is simply incredible. I will reread this many, many times. Thank you so much for writing it and sharing it. Wonderful and very insightful poem, Masooma and also very true. You have shown through this poem that you can empathize with the witch and understand her suffering. You are very much aware of how a person is treated by others when they look or act differently. Sadly, this tends to happen a lot; people can be cruel and act in a very scornful way towards those who do not conform. I completely agree with you that when both men and women make a mistake, it is usually the woman who suffers the most. Thank you for having written such a beautiful poem! This wonderful poem shows once again that you are a gifted writer, an empathetic woman and a very insightful thinker. You have a deep understanding of why some people are cruel and what it can do to the victims of their cruelty. I know that light shines in your heart, too. Your poem eloquently reminds us of our double challenge: to keep the light inside us, and to see the light in others.